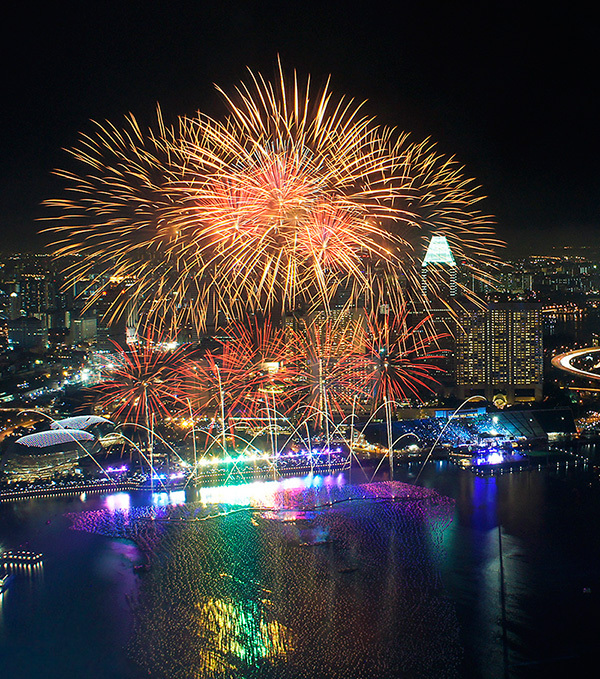 This year’s Day of Independence in Singapore was billed as the biggest ever with months of intense build up throughout the country. 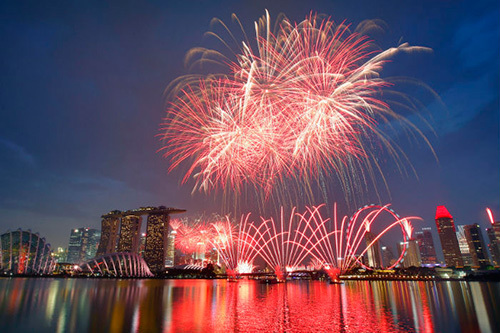 Singapore even declared a four day weekend to celebrate the anniversary. 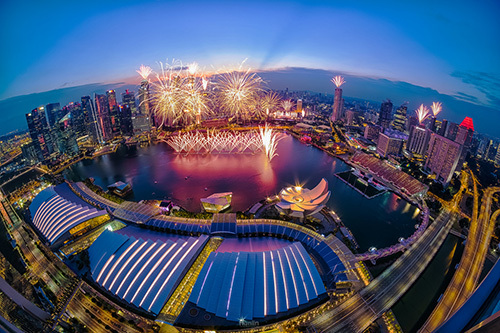 Tens of thousands of people attended the outdoor parade and ceremonies, jet fighters flew over in the formation of 50 and a firework display illuminated Singapore’s skyline. 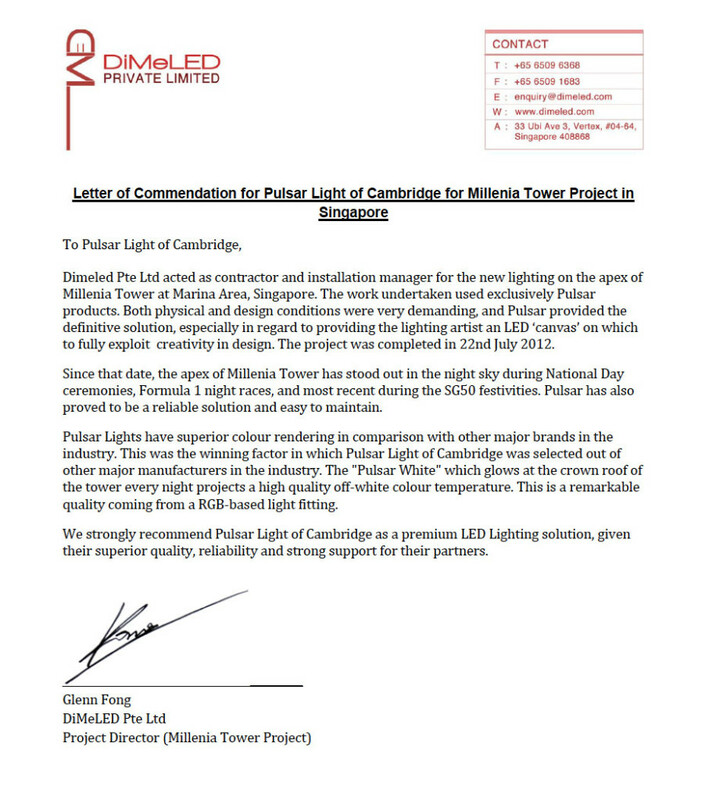 We were happy to contribute in our own small way, Singapore’s Millenia Tower in the skyline – Lighting design by Marc Largent of Magic Monkey, lit by Pulsar. 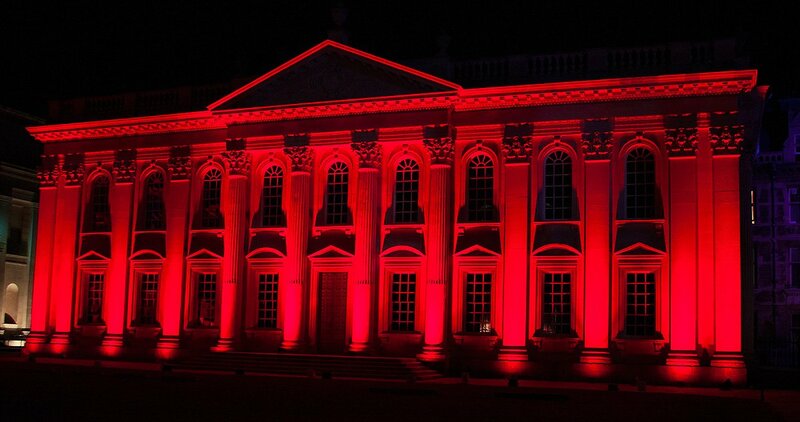 The building’s lighting was synchronised with other buildings across the skyline for this spectacular event. 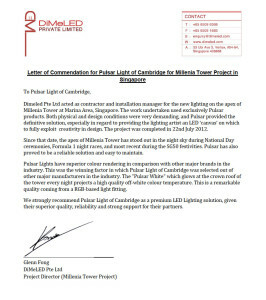 Letter of Commendation from DiMeLED Pte Ltd.